The award-winning podcast The Allusionist is a logophile’s dream. A veteran podcaster if ever there was one – beginning with the long-running, hugely popular indie podcast Sony Award-winning Answer Me This! 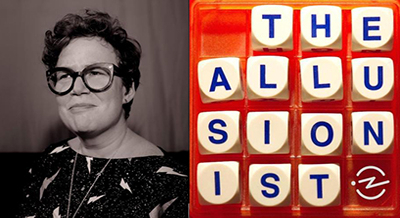 in 2007 – Zaltzman started making The Allusionist in 2015. In each episode, she rumbles with language with infectious verve and a generous helping of pop culture. And a few swears. In her first Perth live appearance, Zaltzman brings her witty, effortlessly informative show to the intimate Dolphin theatre, with musical support from Martin Austwick. Join her for a fascinating and irreverent adventure into the world we make with words. This event is most suitable for ages 16+ as it contains swears which could be considered offensive. Or very amusing. Take your pick.